The Hop Research Institute in Hüll Germany started with the founding of the Hop Research Society in 1926. Over the intervening years they have been on the front lines of advances in hop chemistry and breeding, including generating mildew resistant varieties. 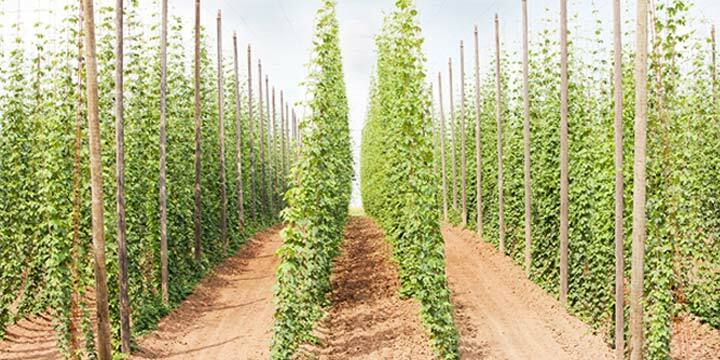 The hop variety Perle was the result of a breeding program aimed at creating a disease resistant alternative to Hallertauer Mittelfrüh — a variety particularly susceptible to mildew. 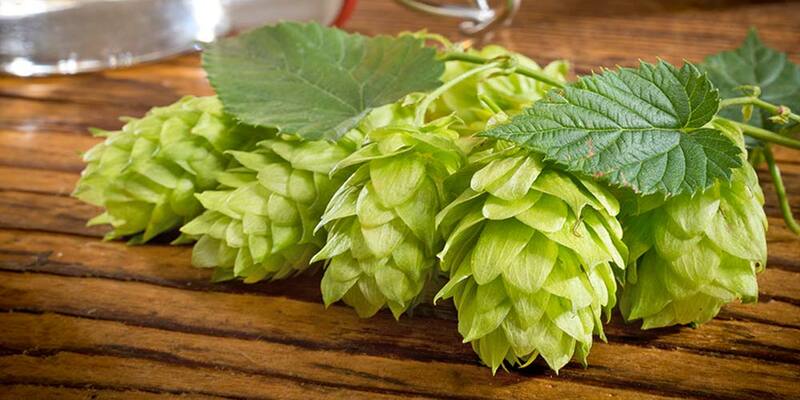 The new hop didn’t get much attention as a replacement, but did become popular in its own right. Perle’s pedegree includes a Northern Brewer female and an undisclosed German male, designated as 63/5/27. It is reasonable to surmise that the male had Hallertauer Mittelfruh somewhere in its bloodline based on what the breeding program was trying to accomplish. Interestingly, it seems German hop merchants purposely kept Perle’s pedigree a secret for a number of years, giving the impression it was more closely related to the highly regarded Hallertauer Mittelfruh than it actually was. This allowed the new hop to fetch a higher price on the hop market. But, the curtain was lifted, at least partially, in 1978 when the hop was released commercially. Perle remains one of the most popular aroma hops in Germany with just over 3,000 hectares (PDF) dedicated to it in 2016. Around 1980 some Perle rhizomes made it to the U.S. and test plots were created near Corvallis, Oregon. 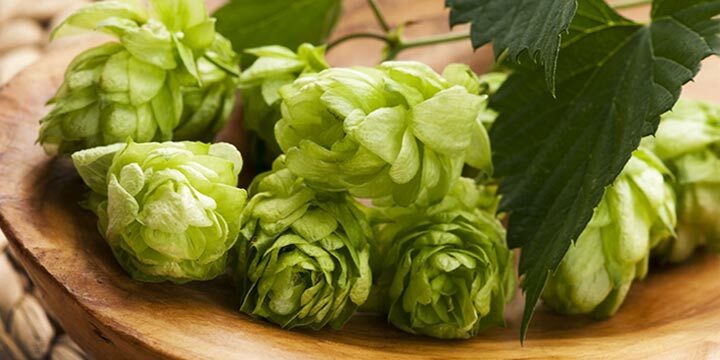 Through testing it was found that U.S. grown Perle hops tend to have a smaller cone, but higher yield than those grown in Germany. 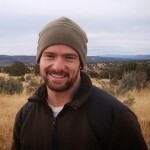 There was also a significant increase in alpha acid percentages — some of the tests yielding 11 to 12 percent. These characteristics are likely a combination of terroir (growing conditions and environment) and the fact that the Oregon sits much closer to the equator than Germany does. These differing qualities help explain why the German variational is considered an aroma type, while the U.S. grown variational is usually defined as dual-purpose. Perle is not a patented hop variety and hop rhizomes can be found, in season, at many homebrew shops or online. Cones — Small to medium; loose to moderately compact. Maturity — Early in the U.S. variety, but moderately late in the German variety. Storage — German variety maintains 70-80% alpha acid after 6 months storage at 64°F, while the U.S. variety does even better, maintaining 80-85% of alpha acids under the same conditions. Perle is described as having much of the same character as Hallertau Mittelfrüh. It has a mild to moderate flavor and aroma that brings pleasing elements of spice and pepper. It also carries some of the signature notes from its Northern Brewer parent, including minty, evergreen, and woody/earthy elements; may also have whispers of green fruit, light florals, and tea. Perle is a good all-around dual-purpose hop. It can work well as a neutral bittering hop where it creates a clean background to spotlight other aroma varieties. It can also be the complete package, bittering/flavor/aroma, especially in beers requiring a subtle hop touch. If you plan to use it for bittering you may want to get the domestic variety because it is likely to have more alpha acid than its German twin. By the same token it may be worth getting the German variety if you are trying to replicate more of the noble hop character. Though it’s also possible the difference would be negligible. According to the Oxford Companion to Beer, Perle is especially suited to sessionable ales/lagers, wheat styles, and other styles where high bitterness would be inappropriate. Any German style is also a great place to put this hop to work. To help you gain a better idea of this hop’s aroma and flavor, I would recommend you sample as many of these as you can find. 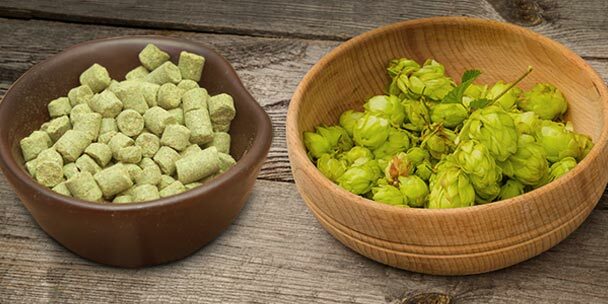 By tasting various beers that are using perle hops, you will deepen your understanding of how the variety works in different beer styles, and what, if any, are the noticeable differences between the two variationals. 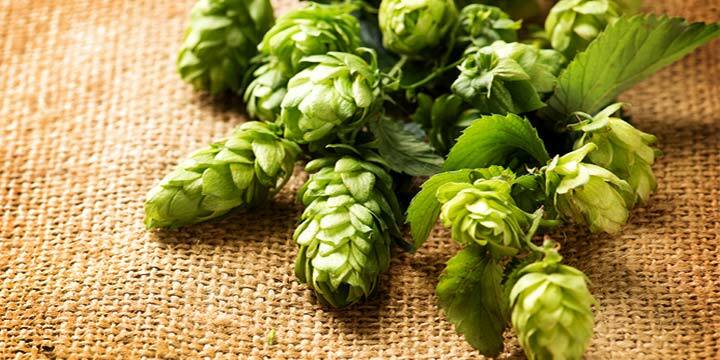 It will also give you a much better idea how to use Perle hops in your own brewing recipes. *Note: I chose just a few of the beers from Penn Brewing, but almost all of their beers contain either U.S. or German Perle hops. Brooklyn Pilsner from Brooklyn Brewing Company- Also uses Saaz, Hallertauer, and Challenger. Kolsch from Schlafly Brewing company- Also uses Hallertau Tradition. Hells from Camcen Town Brewery- Also uses Hallertau Tradition. Black Perle from RJ Rockers Brewing Company- Also uses Cascade. Summer Perle from Westerham Brewery (UK)- Also uses East Kent Goldings, and Cascade. Cocoa Porter from Tommyknocker Brewing Company- Also uses Willamette. Summerfest from Sierra Nevada Brewing Company- Also uses Saaz and Spalter Select. Curve Ball from Pyramid Brewing Company- Also uses Vanguard.